The 250 m2 old Bergerie comprises of a charming authentic entrance hall with a cosy dining area and original fireplace with the wrought iron banister staircase leading up to the first floor. There is also an elevated library/seating area located here. Behind this room you find a cosy generous lounge /TV room with the original vaulted ceilings and a comfortable seating areas, a large flat screen TV with French channels (Canal +/Canal sat), Blueray dvd player and at the end original glass doors leading out into the garden. In connection to this room there is a toilet with a basin. A few steps down from the entrance hall/dining area you find a cosy farm-style open plan kitchen-diner fully fitted with a large 5-ring gas cooker with 3 ovens, American fridge-freezer with icemaker, dishwasher, microwave oven, nespresso and filter coffee machine, food processor, blender, electric kettle and toaster. There are also a large number of pots and pans, crockery and cutlery and other utensils for cooking and serving meals for families comfortably. In conjunction to the kitchen you find another dining table with views over the garden and behind the kitchen a utility room with an extra sink. From the kitchen you have direct access to the outside terrace with further dining tables and loungers? for those outside family gatherings, dining and relaxation. Coming up to the first floor you have 5 generous bedrooms, 2 bathrooms and 2 toilets. Bedroom 1 (the Master bedroom) has a 1.80 x 2.00 m double bed. It has it’s own en-suite shower room with toilet and basin and a wardrobe. Bedroom 2 has a 1.60 x 2.00 m double bed and shelves and hanging space. Bedroom 3 has a 1.40 x 1.90 m double bed, a wardrobe and with access to the ping-pong terrace. Bedroom 4 has 2 single beds, each 0.80 x 2.00 m and a wardrobe. Bedroom 5 has 2 single beds, each 1.20 x 1.90 m and a wardrobe. Bedroom 2-5 are serviced by the generous main bathroom with a bath tub and separate shower cubicle and basin. There is access to a separate toilet with a basin from the landing. On this floor you also have the laundry room with a 10 kg washing machine, tumble dryer, ironing board and iron. The house does not have air-conditioning but the thick old stone walls will keep the house cool during the day, if you keep windows and shutters closed in the bedrooms until the sun goes down. Not what you are looking for? Please visit our website to see our other houses. 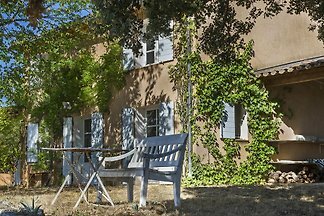 This impressive original old stone Bergerie set in 55 ha of land with olive trees and vines, river and forest, has all the ingredients for a perfect frame around a family holiday in the Real Provence. 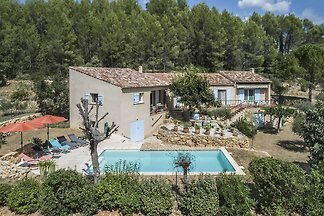 It has been extensively restored in the rustic Provencale style with quality furniture and fittings throughout. The property is totally secluded with access via a private track, so you are guaranteed complete privacy and tranquillity. A short drive away (3 km) you have the Roman village of Lorgues with all it amenities, such as bakeries, supermarkets, café’s and bars, the weekly market on Tuesdays (the biggest in the region) and possibility for access to the back land with the Gorge du Verdon and other attractions and within easy reach of the fashionable resorts of the Côte d’Azur and about 1.5 hours to the Italian border. Outside you can enjoy extensive, stunning, uninterrupted views over the private 55 ha of Real Provence boasting olive groves with many mature olive trees and vineyards as far as the eye can see. This is perfect for walking, running or biking, if you enjoy doing this. Around the house you have several terraces with dining tables and relaxing furniture with the all-important shade provided. There is also a large Weber gas barbecue for cooking your meals outside in the warm evenings. For this purpose, the terrace under the big old oak tree is perfect! 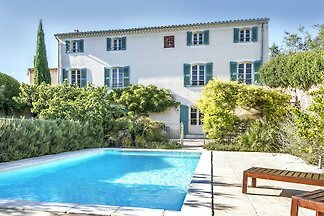 Next to the Bergerie you find the large 4.5 x 10.5 m salt-water pool surrounded by wooden-decked terraces equipped with loungers and parasols. The pool has an alarm for the safety of small children. The typical Provençal country garden immediately outside the Bergerie is well-maintained with many mature trees and bushes local to the area. You will also find a ping-pong table and grassed areas for children to play. In Lorgues, about 5/7 minutes by car, you find Lorgues tennis club and just outside Lorgues on the way to Vidauban there is a pony club where children can take lessons. The region is superb for cycling enthusiasts (mountain biking and road cycling) There is also the possibility to rent bicycles (please ask for further information). Lorgues has several playgrounds for children and a climbing. The beaches and Gorges du Verdon are less than 45 minutes by car from Lorgues. In Lorgues and in the neighbouring medieval villages you can visit several historical sites, a large number of local markets and several festivals under the plane trees. For sports enthusiasts: golf, cycling, hiking, swimming, fishing, canoeing are possible in the surroundings - ask for the latest updates at the Lorgues tourist office. You find numerous bistros and restaurants in Lorgues and surrounding areas for all tastes and budgets from the famous restaurant 'Chez Bruno' just outside Lorgues known for its truffle-based specialities, the good quality 'La table du Pôl' with traditional French cuisine to the friendly and atmospheric Italian restaurant 'Main a la pate' just up from the centre of Lorgues (pizza and pasta dishes). Here you can eat outside in the warm evenings, children are welcome. There are plenty of local vineyards and chateaux nearby, where the staff is happy to show you around and let you taste their wines. The rental price includes gas, water and electricity. Arrival is Saturday between 16.00 and 19.00. If you are delayed please let us know. Departure is Saturday before 10.00. If you leave very early (before 08.00), you can return the key through the letterbox at our town house in Lorgues (the vet clinic at 3 Place du Revelin). Obligatory end cleaning is paid on arrival and amounts to €190. Optional bed linen is charged at €12.50 per person and bath towels (not to be used by the pool) at €10.00 per person paid on arrival. There will be made a rental agreement in the booking process, where the tenant will pay 25% of the total rental price as a deposit within a week.8 weeks before arrival the remaining 75% of the rent plus the safety deposit (€500) is paid. The deposit will be paid back to the tenant after successful end inspection of the property, at the latest 7 days after departure by bank transfer. We recommend that you take out a travel and cancellation insurance to cover any loss of funds from cancellation. 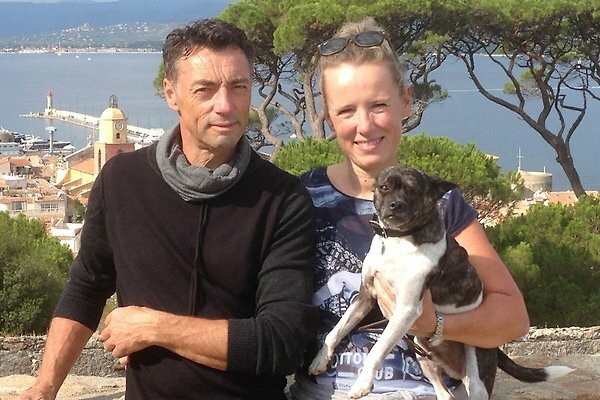 We are Malene and Phil and have serviced this house for another agency a few years ago. Now the owner wants to rent the house through us and we are delighted to be able to look after this wonderful house again. 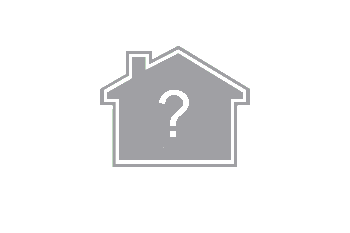 Please feel free to contact us, if you have any questions about the house or the area. We live in Lorgues and are there to help you during your stay. We speak English, Danish (Malene) and French (mostly Malene).